Join Chef Lars Willum as he shares his travelogues featuring the festive flavours from some of his favourite culinary destinations: Canada, Denmark, France, Lapland, Hawaii, Spain, Iceland, Germany and Japan. Savour roasted pork on the beaches of Maui, an Arctic Christmas dinner under the Northern Lights, picnicking in France, a medieval toast to Valhalla, sushi in Kyoto, tapas in Costa del Sol, and fresh rolls baked over a bonfire on Midsummer’s Eve. 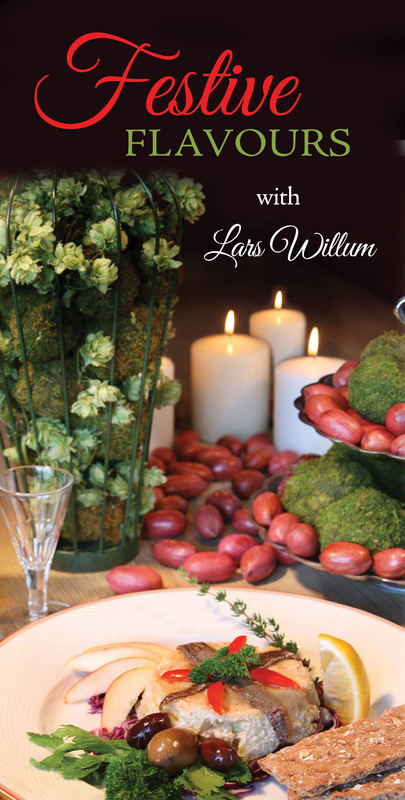 Enjoy over fifty recipes for any festive occasion you celebrate throughout the year. Danish born Cape Breton chef Lars Willum acquired his early culinary skills from his great-aunt, a master chef at a renowned Danish health spa and while summering at his grandparents’ cheese dairy on the majestic island of Bornholm. For the past twenty years Lars has worked at some of the finest country inns in Cape Breton, starred in his own cable TV show Be My Guest, and has represented Canada as a culinary chef in Holland, Iceland, Germany and Belgium. Sea Food Through My Eyes features fine ingredients from the world-renowned Cape Breton coastal waters. One doesn’t have to live in Cape Breton to enjoy these recipes, as all of the ingredients are readily available at your fish market. Recipes have been paired with the four seasons for easy reference.